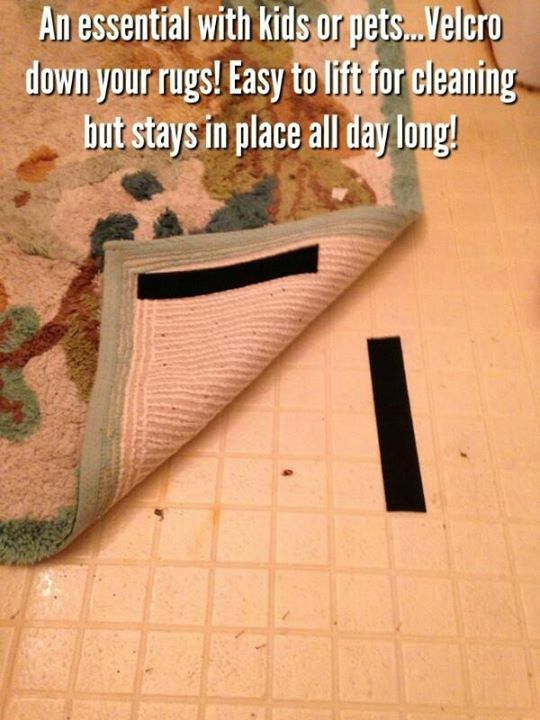 AN ESSENTIAL WITH KIDS OR PETS...VELCRO DOWN YOUR RUGS! EASY - ProudMummy.com the Web's Community for Mums. AN ESSENTIAL WITH KIDS OR PETS...VELCRO DOWN YOUR RUGS! EASY TO LIFT FOR CLEANING BUT STAYS IN PLACE ALL DAY LONG!